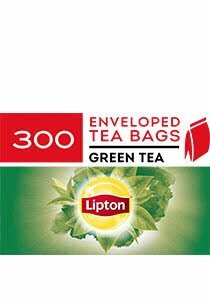 Lipton Green Tea Teabags is light and delicate in taste with a beautiful, subtle aroma. May contain traces of soy derivative. 1. Put tea bag into your cup and pour in 250ml freshly boiled water. 2. After 2-3 minutes, dunk tea bag 5 times and remove. 3. Now your tea is ready!